freeride A style of riding that is defined by short course technical acrobatics and athletes that defy gravity. Generally, the bikes and components required for freeriding are stronger and heavier than their lightweight cross-country brethren. Combine the aerial pyrotechnics of freeriding with some longer trails and courses, as is typical of cross-country riding, and now you're looking at all-mountain riding., all-mountain A style of bicycle riding that melds the stamina and conditioning required of cross-country with the technical abilities of freeriding., cross-country A style of bicycle riding that is defined by long rides, lightweight bicycles and stamina. Remove the main air chamber air cap and let all the air out of the main air chamber. Carefully cycle the suspension through its entire travel The total amount the shock or fork compresses. On a shock it is measured using the eye-to-eye distance or shaft travel.. Check that all parts of the shock are clear of the frame and swingarm as it cycles through the travel. 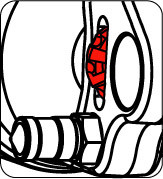 Pressurize your main air chamber to a minimum of 50 psi and no more than 300 psi. You will tune to a more specific air pressure in the Setting Sag section below. If you ride in extreme conditions, service your shock and air sleeve more frequently. Check the maintenance schedule for your shock. Wash your shock with soap and water only. Do not use a high pressure washer to clean your shock. 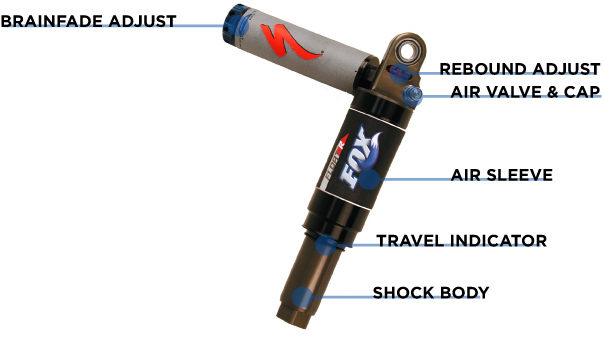 Internal service should be performed by FOX Racing Shox or an Authorized Service Center. Clean the outside of your shock with soap and water and wipe dry with a soft dry rag. Do not use a high pressure washer on your shock. Inspect entire exterior of shock for damage. The shock should not be used if any of the exterior parts appear to be damaged. Please contact your local dealer or FOX Racing Shox for further inspection and repair. Check that quick-release levers (or thru-axle pinch bolts) are properly adjusted and tightened. Check headset adjustment. Adjust headset if loose, according to manufacturer’s recommendations. Check that brake cables or hoses are properly fastened. Check that the front and rear brakes operate properly on flat land. BRAIN Technology senses bumps in the trail and activates the suspension giving the rider the efficiency of a hardtail with all the benefits of a full suspension bicycle. To optimize the performance of a BRAIN shock, it is important to set it up correctly. Tuning the spring rate Force required to compress a spring one inch. 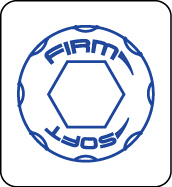 (air pressure) and rebound damping Oil or air damping resistance that controls the rate at which the shock or fork extends after being compressed. (rate at which the shock returns) will greatly enhance the riding experience. Slide the travel indicator o-ring to the scraper lip. Sit on the bicycle in a normal riding position. It is best to wear normal riding gear, and remain steady and still in this position for ten (10) seconds. This will allow the shock to “sit” into its travel. Dismount the bicycle and measure the distance between the scraper lip and travel indicator o-ring. Adjust air pressure in 5-psi increments until the recommended sag of 10mm is achieved. Find the rider’s weight in the RIDER WEIGHT column. Set the air pressure as indicated in the MAIN AIR CHAMBER PRESSURE column. Rebound controls the rate at which your shock returns after it has been compressed. The proper rebound setting is a personal preference, and changes with rider weight, riding style and conditions. A rule of thumb is that rebound should be as fast as possible without kicking back and pushing the rider off the saddle. The rebound knob has 8-10 clicks of adjustment. For slower rebound, turn the red adjuster knob clockwise. For faster rebound, turn the red adjuster knob counterclockwise. The BRAIN shocks is equipped with FOX BrainFade suspension technology. BrainFade allows you to dial in your shock to match riding conditions, from a fully locked out suspension to soft TrailTune, which provides a stable yet supple platform that soaks up bumps but keeps suspension bob to a minimum during hard pedaling. For a ﬁrmer ride, turn the blue dial clockwise. For a softer ride, turn the blue dial counterclockwise. To determine which BrainFade position works best, pedal the bicycle at about 15 MPH and monitor the shock movement. Turn the dial and choose the setting that reduces suspension movement most effectively while providing the desired amount of bump absorption. The setting may change depending on conditions and riding styles.